February | 2015 | Swaray Law Office, LTD.
Bloomberg Business reports that the Securities and Exchange Commission “is preparing sanctions against as many as two dozen immigration lawyers” for accepting EB5 referral fees. If true, this is a long overdue enforcement action – the EB5 field suffers from several industry-wide bad practices, of which accepting referral fees by some immigration attorneys is one. Senator Grassley has been harping on one EB5 immigrant from Iran who apparently has national-security-related clouds hanging over his head – while keeping silent about widespread securities violations that plague the entire EB5 industry. If Senators Grassley, Sessions, et al truly want to spotlight problematic issues that need fixing in the re-authorization process for EB5, they need look no further than securities law compliance by all major EB5 industry actors. The principal problems originate in systematic, pervasive, across-the-board lies told by Chinese migration agents to Chinese investors as to commissions collected by Chinese migration agents for investments made by Chinese investors. Invariably, Chinese migration agents present themselves as lily-white paragons of virtue and insinuate that greedy American middlemen (including immigration lawyers) are the culprits collecting commissions. The trouble with this wholesale violation of securities disclosure requirements is that Chinese investors are not put on notice that they are being steered into bad projects with shaky finances by interested parties (i.e. Chinese migration agents) – resulting in poor investment quality across almost the entire EB5 investment spectrum, with sorry outcomes for US job creation, and contrary to Congressional statutory mandate. The SEC should be mindful that its upcoming enforcement against US immigration lawyers will be spun in China as yet another example of Yankee perfidy. We encourage SEC to issue press releases highlighting the central and nefarious role played by Chinese migration agents to ensure that the forthcoming enforcement action truly results in cleaning up some of the mess, instead of the field once again falling prey to awful practices forced down US throats by Chinese actors. Two dozen law firms is a largish number, and we understand that several prominent names are on the SEC list. Taking referral fees is a bad business idea (regardless of any ethical or legal issues) for immigration lawyers, and we urge the bar to refrain from such a crummy business risk. Non-disclosure to clients about referral fees accepted is a clear ethical no-no, and we are shocked to learn that some immigration lawyers are apparently doing just that. EB5 remains an interesting idea in our immigration system, and its promise is just beginning to be fulfilled. EB5 does not need shoddy business practices – and even a sweeping deluge wiping out most industry players will not alter its destiny – EB5 has caused, continues to create, and will lead to, American jobs. We encourage SEC and USCIS to move forward with enforcement action against bad players. This article is from Bloomberg Business news, but published on this website by an attorney from Swaray Law Office. The law office is in Brooklyn Center in Minnesota. Brooklyn Center is one of the northern cities in the Twin Cities area. It is surrounded by Brooklyn Park, Crystal, Minneapolis, Robbinsdale, Champlin, Maple Grove and Fridley, among others. In the first two years of DACA enforcement, about 673,417 young people applied for the benefit of which the United States Citizenship and Immigration Services (USCIS) approved 553,197. The program created a bridge for them to exploit many economic, social and educational opportunities in the United States. In the process, the country also immensely benefitted from their energies, creativity and fiscal and other contributions. 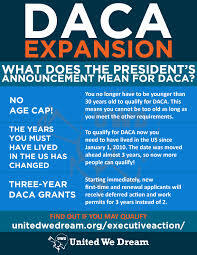 The new expanded November 2014 DACA is largely built on the success of the initial DACA, and expected to witness an even greater increase in the number of applications and approvals, and consequent economic, social and educational opportunities and successes. There are still a large number of DACA eligible beneficiaries who are, because of fear or lack of credibility in the program or for other reasons, reluctant to take advantage of the opportunities. To these immigrants, and immigrants that have become eligible because of the expansion of the program, Swaray Law Office urges you not to be afraid. Though not an absolute solution, DACA is real, has many opportunities, can and has saved many from deportation, and will help you to realize your American Dream. The current DACA will help you come out of your illegal status, and afford you two years of legal status. The new DACA has expanded the legal status to three years. Under an advance parole, for which you need to apply and be approved by the USCIS, you will be able to travel out of the United States and come back in. But you must comply with the strict travel conditions, and if you have been ordered deported, excluded or removed from the United States, you must first reopen your case to get an administrative closure before your departure from the country. The travel must also be for a very specific, imperative reason, such as one that is emergency based, work related, research motivated or humanitarian, and the like. 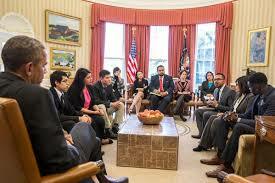 The DACA grant will give you the opportunity to work for income in the entire United States. The work permit is valid for the DACA lifespan. Under the DACA status, you can apply for and successfully get a social security number. You can also get a drivers license in many states in the country. Some of the states that currently give drivers licenses to DACA beneficiaries are California, Colorado, Connecticut, Delaware, Florida, Georgia, Minnesota, Indiana, Iowa, Kentucky, Minnesota, Michigan, etc. DACA beneficiaries are not eligible for healthcare under the Affordable Care Act. But they are eligible for health care benefits offered to low income individuals in some states. DACA beneficiaries are not eligible for federal student aid, but eligible for financial aid in some states in the form of grants, scholarships and private loans. A DACA beneficiary can purchase a home, car or other assets, but may not qualify for some kind of loans because of the DACA status in which case a United States citizen or Lawful Permanent Resident can agree to share the financial responsibility of repaying the loan in case the DACA beneficiary defaults. DACA is not a pathway to permanent residency or US citizenship. But it could be if a DACA beneficiary leaves the United States and re-enters the country under an advance parole after he is inspected and admitted by an immigration officer. Based on this admission, he could later apply for a Green Card if he becomes eligible to do so through a qualifying relative or through employment. A DACA beneficiary can apply for a credit card and engage in other economic activities upon which he can build a credit history and become credit worthy. DACA is a big step towards your juicy American Dream. So take advantage of it! This blog is by an attorney at Swaray Law Office which is located in Brooklyn Center in Minnesota. Brooklyn Center is close to Brooklyn Park, Crystal, Minneapolis, Robbinsdale, Blaine, Maplegrove and Fridley. It is not a legal advice. If you need help with your DACA petition, please contact the office at swarayassociates@cs.com or 763-549-0670. We strongly suggest that you join our long line of clients that are seeking legal assistance from the office with processing the benefit. We have a proud record of 15 solid successful years in providing legal assistance to clients with immigration petition processing ranging from family to business immigration benefits. Swaray Law Office will diligently work for you, and get you from the application forms to the DACA benefit card that will give you the permission to work, live freely, travel out of and back to the United States without the fear of immigration problems. So, contact the office today by phone or email at 763-549-0670 or at swarayassociates@cs.com. We also accept walk-ins. 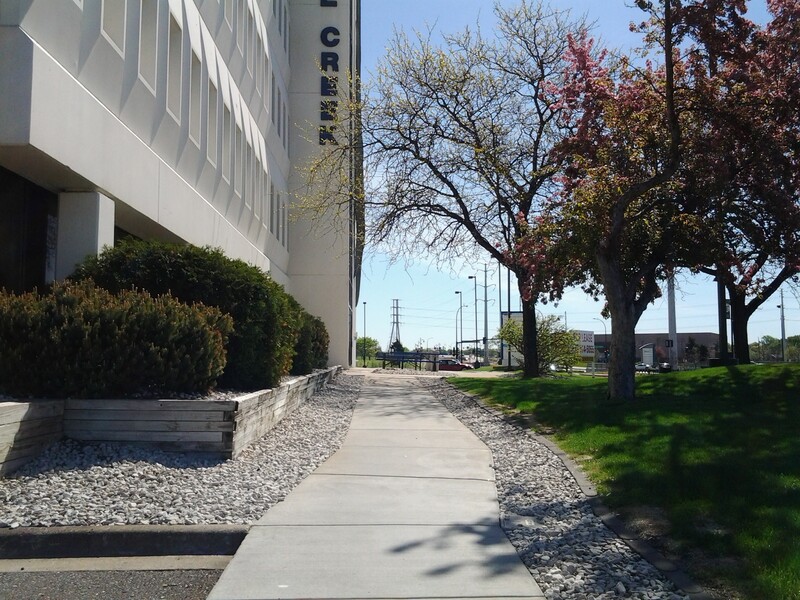 Our office is conveniently located in Brooklyn Center in Minnesota. Brooklyn Center is one of the northern cities in the Twin Cities area of St. Paul and Minneapolis. It is close to Brooklyn Park, Crystal, Fridley, MapleGrove, Blaine and Robbinsdale.